Sometime during my late elementary school years, I was exposed to the Internet for the first time. My brother was attending CSU Berkeley then and he would sometimes use a dial-up connection to access the University’s network. I don’t remember much of it as it was pretty much all monochrome screens and text-based back then. I don’t even know if my brother used it much after accessing it the first time. 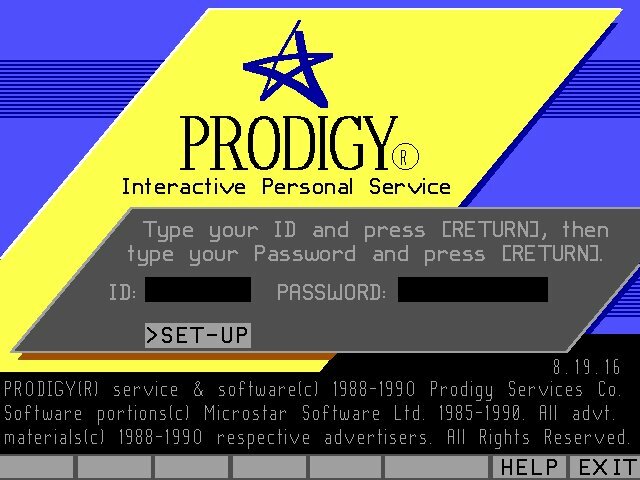 Sometime around middle school, our family picked up an internet connection through Prodigy. I don’t remember why we got it, but I believe I was the one primarily using it at the time. I would constantly tie up the phone line as I logged on to the barren wasteland that was the Internet. There was no YouTube or Wikipedia. There was no checking your Facebook or even MySpace, and a tweet was simply the sound a bird makes. You couldn’t do any shopping at Amazon or any other online retailer because eCommerce didn’t exist. I don’t even remember using Google or Yahoo! back then, though I do remember using engines like WebCrawler and AltaVista. I primarily used the computer for gaming, but when the Internet came about, my uses for it expanded a bit. While using Prodigy, I discovered what was called a “chat room.” I believe I frequented some teen or asian chat rooms or something along those lines. The room mostly consisted of people around my age just chatting about whatever. There was probably no more than 15-20 people there at the most, and everyone pretty much began to know each other since it was mostly the same people all the time. It’s all pretty vague in my memory, but I believe there weren’t even really any usernames and people just went by some serialized handle that was assigned to them. I think you could change your name once in the chat room and finding a name that wasn’t taken was definitely not an issue back then. The participants of that particular chat room would often exchange WAV files with one another. Users would invoke a chat line command that would play an audio clip on your computer (if it existed). If they didn’t have the clip, they would usually check the title of the audio clip and request it from the other users so they could hear it played as well. Creating WAV files became somewhat of a new hobby of mine. Using the microphone, I would record songs from tapes or the radio onto the computer and share them with other users. File size was a big issue back then because of internet speeds, so I would have to reduce the length and quality of the snippet quite significantly. I also began to experiment with vocal recording and created several clips of myself singing using a program called CoolEdit 95. I even added reverb effects and layered my own harmonies on these tracks. As I mentioned before, I wasn’t a very socially adept person back then, but I found talking over the Internet quite easy. For one thing, I loved writing. I just found communicating in that medium quite comfortable as it was easier for me to express myself in written form. I actually had quite a few friends back then where we would often exchange letters and journals and things like that. This actually took shape in my online interactions as well as I began to exchange actual physical letters with some people I met online. There was definitely a wide variety of correspondence that I would receive through this new outlet. Though I did keep in touch with a few, let’s just say that I didn’t reply back to everyone (LINK). I had very few people that I would call friends back then. I favored quality over quantity. Aside from those few, I did have a relatively active social life at the time, but I’d say that it was one that was heavily assisted by the environment I was in. Youth group and choir at the church would often help to cultivate making new friends through their various activities. My friends from church and my brothers would also introduce me to their friends and classmates from their schools. I actually attended school in a different city than most of those at church as I lived across the county line. I had more “friends” (probably closer to acquaintances) through my church than at my own school. I knew quite a few people through the church, but those particular relationships were definitely not spawned out of my own efforts or volition. Sure, I was still evolving as a person at the time and was slowly coming out of my shell, but I’d say that I was more socially unchained while I was on the net. Online, my interactions weren’t facilitated through other people. I was actually able to talk freely on my own. 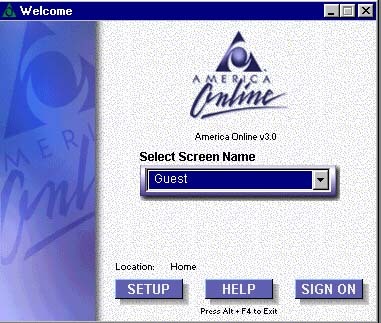 My chat activities continued as our ISP moved on to AOL, Juno, and CompuServe. In AOL, the two popular rooms I frequented were Manila/Manila and Pinoy/Pinay, which were both basically chat rooms filled with other Filipinos. I even went to some mixer for the Pinoy/Pinay chat room that was held in my home town on two different occasions. People came from pretty far distances to just hang out and socialize. Name Tags were available at the door to make it easier for people to identify each other by Screen Names. It was basically some sort of house party, with lots of food, drink, and music. Being the shy guy I was, I brought along a few of my close friends to help alleviate my discomfort. They definitely had more fun there than I did, but I kept in touch with a few people I met there for a while. During my online social interactions, I will admit that I got close to two different people. Both ended up turning into long distance relationships, but one in particular impacted me in a way like no other. We would chat and exchange messages quite often and actually began to write physical letters to each other regularly. It soon evolved into the occasional phone call which resulted in expensive phone bills as she lived in Southern California. Our relationship went on for well over a year before we would finally “officially” admit our feelings to each other. Despite the distance, we actually managed to visit each other on two separate occasions. However, the distance eventually proved to be too great as we moved on due to some circumstances that I wasn’t able to assist her with. I was devastated and didn’t really have anyone to confide in as this was unexplored territory for all my friends. Only two of my friends actually met her while she was here and those same friends came with me when I went down to see her. I couldn’t really talk to them about it though because they didn’t have the same experiences that I did. I was an online veteran with the battle scars to show for it. Though I no longer had or pursued any relationship through that outlet afterwards, the Internet still continued to serve as a tool to spark and cultivate many of the (local) friendships and relationships that followed. I personally find it both funny and sad in looking back on those years. That was me talking in chat rooms with complete strangers and having online long distance relationships while others were going about that matter through normal means. It’s not that I completely ignored my “real world” relationships. I actually had quite a few before, during, and after that phase in my life, or whatever you want to call it. However, there was a certain depth that I shared with her that I can’t really say I had with any of the other relationships I had during those particular years of my life. I think this was due to the fact that writing was our primary form of communication. I believe that the written word can be more transparent and revealing than the spoken word can. Online, a person could totally fabricate their image and persona. It is easy to hide behind a screen name, an image that isn’t yours, and mere words on the screen. However, for many people including myself, I would argue that talking online reveals a more true representation of one’s self and their personality. Any fears and inhibitions that would normally accompany the physical presence of another person were non-existent. There were no concerns about how you looked or how you sounded to the other person. You didn’t have to dress up or be worried about your surroundings or any onlookers. It was just you and another person sharing thoughts with each other across the digital highway. Even though it’s a bit embarrassing, this aspect of my past is one of the building blocks that make up who I am today. Other than the friends that were with me on those few occasions, I don’t think I’ve ever really told anyone about it prior to this post. It’s not like it’s a topic you would bring up in casual conversation or anything like that. Recently digging through some of the old backup data I have from that time brought back quite a few memories though. I can’t say that I miss those days, but it definitely was a unique time of my life.